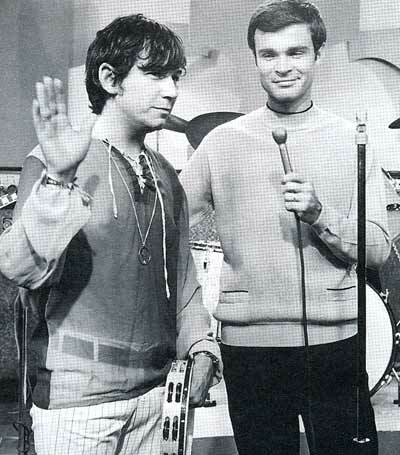 If you were a young person in the 1960’s and early 1970’s who loved rock ‘n roll and lived in northeast Ohio and if you were anywhere near a television on Saturday’s at 5:00 PM from 1964 – 1971 you were more than likely tuned into the Upbeat TV Show that aired weekly over Cleveland’s WEWS Channel 5. Upbeat was a weekly music program that featured the top national, international and regional bands of the day. 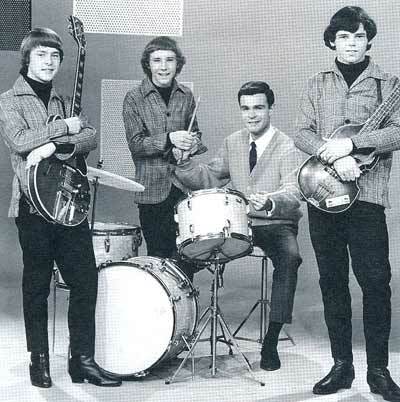 Upbeat was a trendsetter having appeared long before Hullabaloo, Shindig, Where The Action Is and later, In Concert, Don Kirshner’s Rock Concert and the Midnight Special. 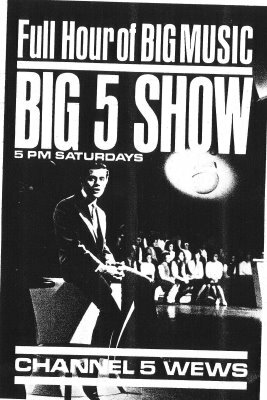 It debuted on August 29, 1964 as The Big 5 Show, named so because it aired on Channel 5 at 5:00 PM on Saturdays. It was hosted by a variety of Cleveland area disc jockeys until Spero decided a permanent host was needed. Spero saw a young Don Webster hosting a Canadian dance party show and hired him to take over the soon-to-be-renamed Upbeat show. 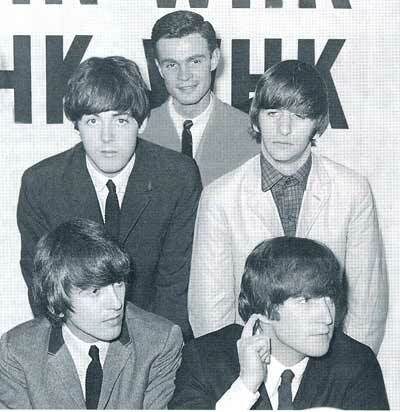 After being hired by WEWS one of Webster’s first duties was to interview The Beatles during their Cleveland appearance. 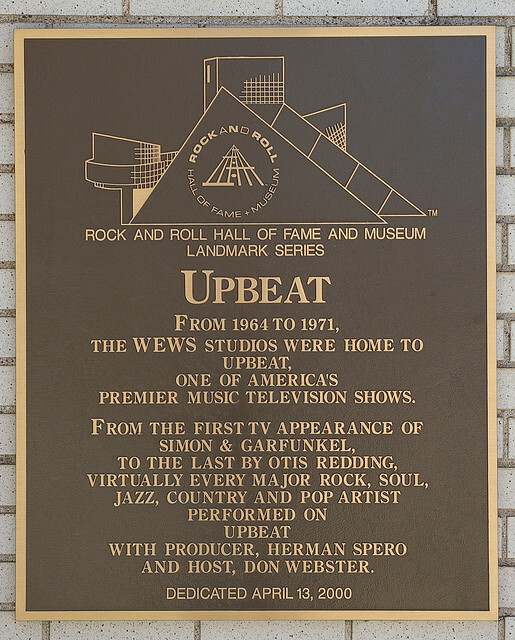 Soon after Upbeat’s popularity grew so large that Spero and WEWS began syndicating the show around the country, eventually appearing in 105 television markets. Bands/performers would be brought in on a Friday and Spero, Webster and their staff would try to get them a booking at a local High School or club so they’d get some extra pay out of it. “We would tape it on Saturday afternoon, rehearsal started at nine, took a break at noon, came back at 1:30 and shot the show and hopefully it was done by five o’clock when you had to see it,” Spero explained. The videotape of one-hour “Upbeat” episode would be copied nine times and then sent to a station in each of the top ten markets (such as New York, San Francisco, Boston, Dallas) broadcast and then that station would sent to a station in the next lower market size, shipped or “bicycled” from market to market. 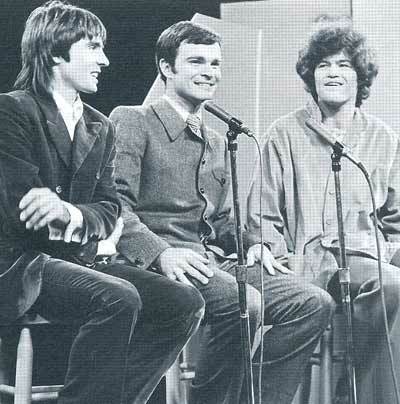 It didn’t take long for acts who appeared on Upbeat to eventually be seen nationally after a month or so of the tapes making the rounds. 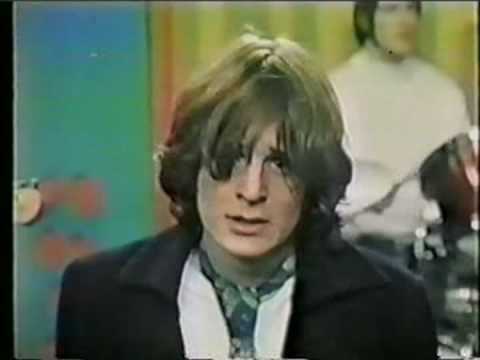 Over the years a virtual who’s who of national, international and regional bands performed numerous times on Upbeat, a few examples included Marvin Gaye & Tammie Terrel, Music Explosion, Velvet Underground, McCoys, Yardbirds, Beatles, The Who, The Rolling Stones, B.B. King, John Kay, Steppenwolf, Jerry Lee Lewis, Monkees, Sonny Geraci and The Outsiders, Canned Heat, Paul Revere & The Riders, Jerry Lee Lewis, Tommy James, Sly and The Family Stone, Terry Knight and the Pack, Johnny Nash, Billy Joe Royal, Stevie Wonder, Gene Krupa, Steam, Box Tops, Smokey Robinson and the Miracles, Eric Burdon, Lou Christie, The 5th Dimension, Gene Pitney, Mitch Ryder and the Detroit Wheels, Otis Redding, Bar-Kays, the Strawberry Alarm Clock, Fanny, Scott MacKenzie, The Nitty Gritty Dirt Band, Circus, The Toys, American Breed, Steve Colt, The Chylds, The Fifth Estate, The Sonics, Doughboys, Pleasure Seekers, Tiffany Shade, London & The Bridges, The Debutantes, Cyrus Erie, Kickin’ Mustangs, John Sebastian and The Lovin’ Spoonful, Bob Seger, GTO’s, The Shangra-La’s, Spanky and Our Gang, Peter and Gordon, Simon and Garfunkel, Chubby Checker, Grasshoppers, Gary Puckett and Union Gap, Pete Best, Left Banke, Raven, James Gang, Eric Carmen, Choir, Damnation of Adam Blessing. 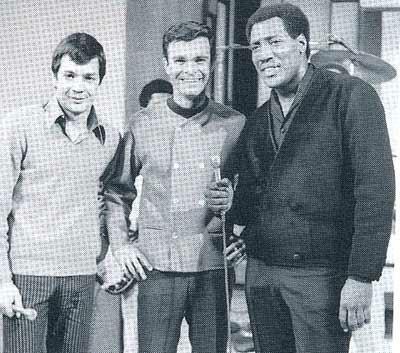 One memorable guest who appeared performed for the last time. 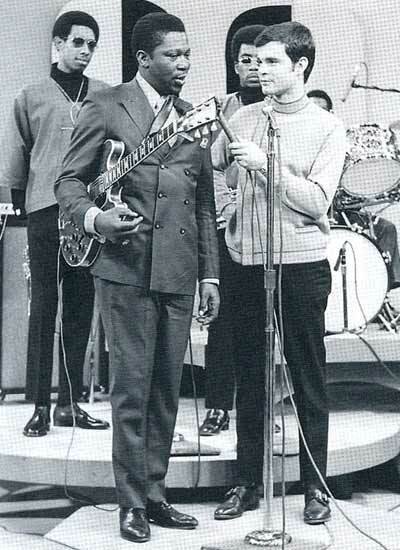 On December 9, 1967, after appearing on the Upbeat show and doing a gig in Canton, OH, Otis Redding subsequently died in an airplane crash on the way to his next gig in Madison, WI. “The end of the show was him (Redding), with the Bar-Kays and Mitch Ryder singing ‘Knock On Wood’,” Spero said. Over the years Upbeat featured several ‘house bands’ to back up solo performers. 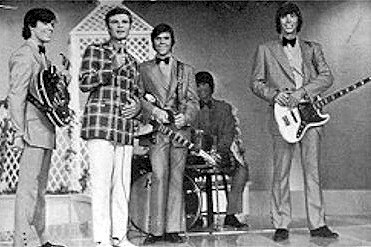 Upbeat house bands were Dave C and the Sharptones, The Grasshoppers (of which the late Ben Orr of the Cars was a member), Rapid Transit and the People’s Choice (Puzzle People). Another selling and focal point to the Upbeat show were the ‘Upbeat Dancers’ who performed during various guests’ performances. 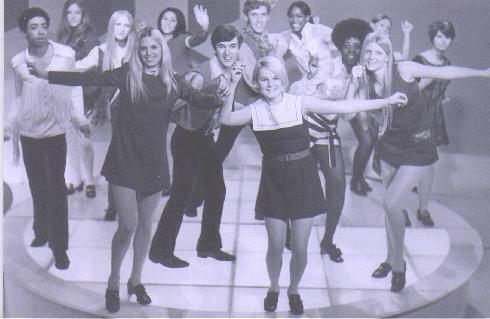 Maurice “Hank” Nystrom, who went on to national acclaim, was Upbeat’s choreographer (1968 – 1971) when the show was televised to 105 cities nationwide. Over the years Upbeat Dancers included Jean Hagedorn. Linda Mulcahey, Arline Burks, Jacquelyn Carson, John Magill, Mary Lynn Curnayn, Arlee Gibson, Constance Gibson, Michael Ray, Linda Mulcahy, Kim Havrilla, Arline Burks, Mary Lynn Curnayn, Jacquelyn “Jackie” Carson, Peggy Miller, and Diane Rini, among others. After Upbeat ended in 1971 Webster remained at WEWS until his retirement in 1999. He did weather, hosted the Ohio Lottery show, Academic Challenge, The Gene Carroll Show, Bowling for Dollars and anchored Live On Five. Webster is now enjoying his retirement in South Carolina. Ironically, Upbeat founder Herman Spero, who died in 1979 at the age young of 55, proposed to cable networks the idea of a music TV channel just before his death. HBO turned him down. Within a couple years MTV was born.